Piedmont Farm & Garden is a retail and online garden center that is open all year long. 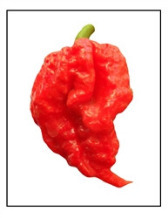 We specialize in growing spring garden vegetable plants like heirloom and hybrid tomato plants, eggplants, herb plants and sweet, hot, very hot and extremely hot pepper plants. Fall garden vegetable plants like broccoli plants, brussels spouts plants, cabbage plants, cauliflower plants, collard plants, kale plants, swiss chard plants. We also have a large selection of heirloom, hybrid and NON GMO garden vegetable seeds for sale, garlic sets or bulbs, onion plants or slips, onion sets or bulbs, seed potatoes, shallot sets or bulbs and strawberry plants. Not only do we sell garden seed, vegetable seed and plants, we sell a full line of hardware like Old Timer, Uncle Henry, Gerber, Frost and Case pocket knives, gorilla glue and tape, fresh water fishing bait, tackle, supplies and carp fishing supplies and flavors, like R & W, Superior and Lorann, gardening tools and gardening supplies. Need animal supplies? We sell chicken feed and supplies, dog food and supplies and even beekeeping supplies. Also checkout our taste of the south for all types of southern favorite sauses, seasoning and food. We are located at the crossroads of the South, just minutes from the junction of I-26 and I-85 in Spartanburg county in the Upstate of South Carolina. March of this year marked our 50th year in business serving the local area and all of our customers across this great country. Solo 1 gal. 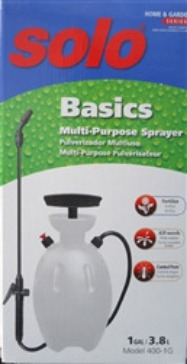 basics multi-purpose sprayer. Use for fertilizers, herbicides, insecticides, protection chemicals, cleaning solutions and more. A 16oz. bottle of Darby Farms Elderberry Syrup, Minimally sweetened. No refined sugars. No added flavorings. No thickeners. No artificial anything. Just the Straight-Up Good-for-you stuff! 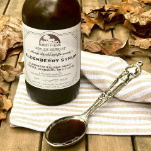 Elderberry Syrup Made with organic and wild crafted ingredients. Elderberries, Raw Honey, Ginger, Cinnamon, and Cloves. Rooted Releaf Elderberry Syrup Kit is made from these organic ingredients: elderberries, cinnamon chips, ginger root, cloves. FREE SHIPPING ON ALL VEGETABLE SEED NOW! All of our garden vegetable seeds we sale are NON GMO !! !